The sheer size of the great state of California combined with the spectrum of industrial, commercial and institutional buildings has significantly increased the need for structural engineering services. Since our inception, our experienced team here at Structural Innovations Engineering & Consulting, PC has served California on a variety of projects. 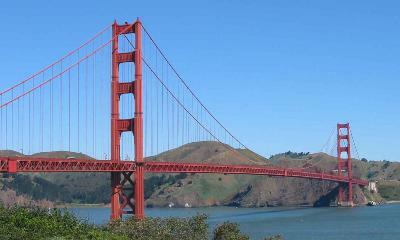 California’s iconic collection of structures is vast. From the Golden Gate Bridge, to the Folsom Dam, to the stunning shorelines of San Diego, Los Angeles and San Francisco, the need for structural engineering in California is more prominent than ever. Our structural engineers complete many different projects for our clients in the commercial, industrial and residential market sectors. In order to continue providing California with the highest level of quality service, our licensed structural engineers in California remain up-to-date on industry trends and the International Building Codes for both residential and non-residential construction. These codes regulate different areas structural engineering in California including rules controlling building materials and updated design rules. As the services of structural engineers in California continues to evolve, it’s important to work with a firm that fully understands how rules and regulations are changing, and how to implement new strategies in a cost effective manner on your project. If you have questions pertaining to a project and how our structural engineers can help you, please give us a call!